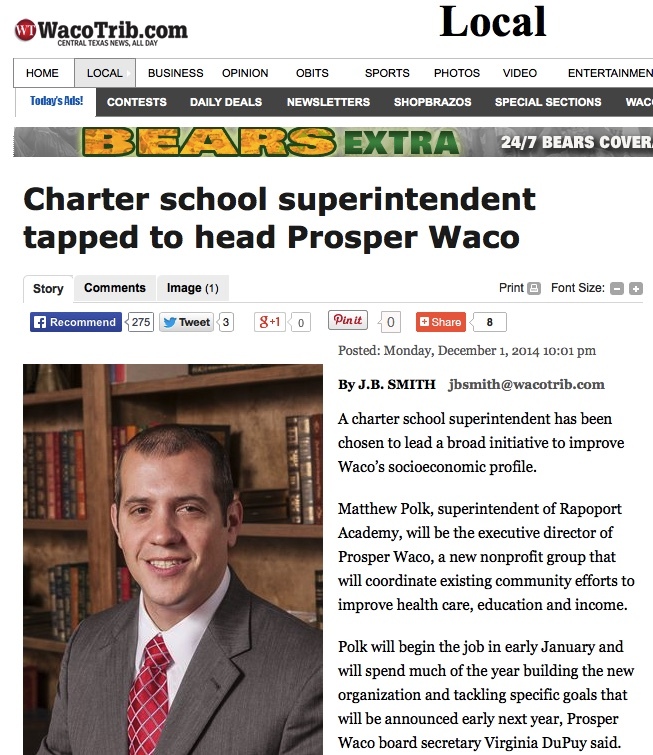 What has Rome to do with Waco? "Youth is not a time of life; it is a state of mind"
Most likely you have read, sang, or at least heard the words of Psalm 51, the Bible’s most well-known and beloved “penitential” psalm, in one form or another (you might enjoy the performance at the bottom of this post while reading). In many traditions, Psalm 51 is specially chosen for prayerful reflection during Holy Week and Lent (especially Ash Wednesday), but it can also be frequently heard in regular services throughout the year. For instance, do these verses sound familiar? 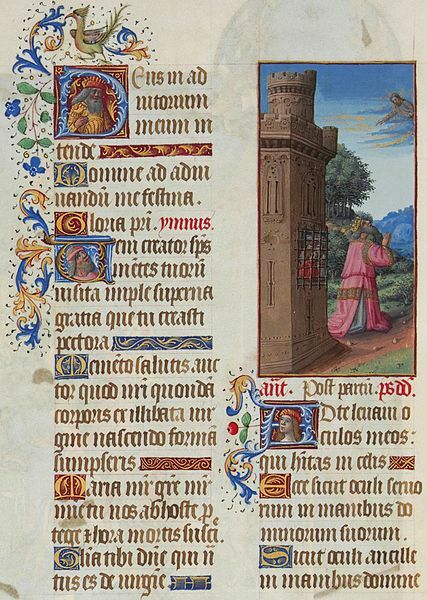 According to the title line that precedes the psalm, this prayer was composed by King David “when the prophet Nathan came to him, after he had gone in to Bathsheba.” It might have as well said, “…after he committed adultery with Bathsheba, secretly ordered her husband’s death, and took her as his wife.” If you do not know the story well, take a few minutes and read it in 2 Samuel 11–12. *I am quoting from the New Revised Standard Version (NRSV). Of course, there are small differences in wording among the various versions (KJV, NRSV, JPS, ESV, NIV, etc. ), but I think they are close enough that you can hear your favorite version pulsing behind any of them if you are at all familiar with this psalm. Also, note that the passage in question is the 6th verse in some translations. And in Eastern Orthodox versions that follow the Septuagint, the psalm in question is the 50th psalm instead of the 51st. This was no simple affair between consenting adults. King David used his position of power to take another man’s wife for his sexual pleasure. And when he failed to cover it up, he essentially sentenced Uriah to death (and possibly other soldiers who died along with him). But how about the others? Though he may not have broken the letter of the following commandments, it is not difficult to see how he violated ethical principles behind them. Of course, David’s “theft” of another man’s wife is covered under the commandment against adultery. But the prophet himself characterized David’s crime as one of theft (2 Samuel 12:1–4, 7–9). Though the original command may be primarily applicable in legal settings where people are taking oaths and testifying before elders or judges in order to settle lawsuits and the like, the spirit of the commandment prohibits deceitfulness and false reports that hurt one’s “neighbor.” If King David had been successful with his coverup, his deception would have led Uriah and nearly everyone around him — including David’s own child and future descendants — to believe that Uriah was the father of King David’s child. When that failed, King David’s secret ruse resulted in Uriah’s death; it threatened to undermine Joab’s reputation as a competent commander on the battlefield (see Joab’s concern in 2 Samuel 11:18–21); and it placed public blame for Uriah’s death on the Ammonites instead of King David himself, the real conspirator behind it. Even in highly individualistic societies, parents are shamed by the crimes of their children. How much more so in communitarian societies such as ancient Israel (for instance, consider the nature and significance of the “house of the father,” or bet ‘ab, as a social unit in ancient Israel)? As the prophet declares, David’s crimes would have lasting repercussions for his family, and very public ones at that (see 2 Samuel 12:10–12). Though David did not intentionally act to dishonor his father and mother, he brought shame to them and their extended family nonetheless. Confessing Sin Against . . . Whom, Exactly? Whatever one might conclude about David’s violation of certain commandments, the point is this: King David committed heinous crimes against his loyal servants, against his neighbors. In light of all this, then, how can a reader who views this psalm as King David’s own confession make sense of the statement in Psalm 51:4, “Against you, you alone, have I sinned”? In fact, most Bible scholars today do not think that David was the actual author of this psalm. They are fairly certain that the psalm “titles” (or “superscriptions,” as scholars often call them) were added long, long after the psalms were composed and adopted for use in ancient Israel’s worship. But apart from a few notable exceptions, even scholars who think Psalm 51 was composed centuries after King David’s time still view the psalm as a prayer composed for the purpose of confessing personal and/or communal sins . . . including, if not especially, sins against other people. What does it mean for someone who has deeply hurt his or her neighbor to tell God, “Against you, you alone, have I sinned”? How would you answer this question? Give it some thought. Then come back to see how commentators from ancient to modern times have answered it, and to consider what we might learn from (and about) their approaches to this confession of sin. Thats a great article indeed. We sell our beliefs our religions each time we sin. We violate so many other principles and laws and bring shame to Christianity. Randall, Thank you for writing and sharing this post. I appreciate it because, quite frankly I stumbled upon it, my spirituality has ebbed rather than flowed. Reading the comments provoked thought and reflection. I believe it’s time for me to pick-up my bible again. Thanks. That is a great question Randall. And I think it’s one of those that we’ll not know the answer to, this side of heaven. I’m no Bible scholar and could only offer speculation. That being said, here’s a simple thought to consider: It seems to me that when we sin against people, we’re sinning against other sinners, so it’s not the same as sinning against our God who is without sin. So it’s in that sense that we’re sinning against God and God alone as the Psalmist says. Because our God is the only One who perfectly does not deserve for anyone to do anything against Him. Thanks for the interesting and provocative post! Thanks for sharing the thought. At some point I plan to introduce some classical and modern commentaries that make suggestions along that line (among other possibilities). It’ll be an interesting idea to consider and explore more deeply. I found it quite interesting especially the question that you raise at the end. I am preaching a series on 2 Samuel and we were in chapter 12 last Sunday So this is makes your article even more interesting for me. One of the books I am using for this series is ‘2 Samuel, Out Of Every Adversity’ by Dale Davis. He cites the story of Franz Joseph Haydn a musical genius whose wife had so little regard for his composing genius that she cut up his manuscripts to use for hair-curling papers. Ralph Davies asks the question ” was she merely expressing contempt for his music? certainly not. Her contempt for his music was only a visible sign for her contempt of him. David did sin against Bathsheba, Uriah and to some extent his army but viewed in the right perspective he sinned against God or as the Samuel text puts it he despised Yahweh. Hence David is realizing that greater sin is actually against none other than Yahweh. I agree with Kurt’s response, Its no longer about our hurting the neighbor that’s at stake but realizing how that sin despising Yaweh himself. Thanks for taking the time to comment, Amazing! That’s a great story about Haydn’s wife. I can’t help but wonder what she’d say if asked why she did that — for instance, did she have any reason to feel like he loved music more than her? — but I won’t go there. I think this answer has a wide appeal. In the next few days I’ll share some reflections on a commentary that more or less takes this approach, so I’m holding back from saying too much myself here (in this post I mainly wanted to raise the question and encourage others to think about it with me; thanks again for doing that). But I’ll share just one thing that comes to mind right now. The many times I have read and sang this chapter, I have found it remorse that questioning it has been the last thing I thought of. This question is insightful. It provoked me to ask questions both from my perspective and from – assuming – David’s perspective. My questions were not exhaustive but led me to the great commandment – love for God and for neighbor. Reflecting the passage, I quickly thought David showed no love for neighbor not until I gave it more thought. David must have known his weakness. He was imperfect. Perhaps, he struggled not to sin but it was inevitable. I suppose, he might have thought of asking his neighbors for forgiveness; but by virtue of being imperfect, it would be unbearable to do this often, take for example 70 times 7 times, the inverse for forgive. He might have thought of his status as a king, an image to protect. David had this revelation that the best place to go was before God – the ultimate love and forgiver. I don’t imply that sinning became his habit. David had the fear of God in him as depicted in many of his psalms; more so, God highlights him as a man after His heart. David understood that his love for God was connected with his love for neighbor. He realized the crimes he committed were not only against his neighbors but also against God thus when he repented before God he had his guilt for his neighbors covered. Thanks Dr. Short for the question. I look forward to learn more from the commentaries. Thank you for sharing your reflection, Medina. I think you have a talent for composing midrash (and I mean that in a good way). As you probably remember from reading Gary Anderson’s Genesis of Perfection in the course on Adam and Eve, a good midrash offers an imaginative and meaningful interpretation of a text by filling in the “gaps” in a text. I really enjoy that ancient approach to the biblical text. So I think your midrashic retelling of the story is quite beautiful (if I understand your meaning correctly, I especially like your image of it being unbearable for David). I can easily imagine you inspiring people with this sympathetic image of David. Last night, I had dinner in the home of friends who were celebrating a special day. They had marked the day – December 6 – to celebrate the neighborhood where they grew up, and they invited my family to join them. They showed us pictures of the neighborhood – it’s beautiful! – and they told us some about their experiences living and raising a family there. As we talked, we compared their neighborhood with the ones where my wife and I grew up. We talked about some of the things that we like about each neighborhood, and we talked about things we dislike. We laughed as we shocked each other with stories about customs that, growing up, each of us thought were “normal,” or the way of the world. Let me share just two “neighborhood customs” that my friends shared with us. When a family has a child back in my friends’ neighborhood, the family gets a huge box filled with all kinds of things for the mother and child. It includes diapers, lotions, baby formulas, clothes – that sort of thing. The money for the boxes comes from a community fund of sorts, and basically everyone in the neighborhood contributes to the fund. I told my friends about other neighborhoods that do something similar. But in the neighborhoods with which I’m familiar, it’s usually families with lower incomes that get the box (or something similar – I explained a little about “food stamps” and “WIC”). In those neighborhoods, it could even be embarrassing to get a box like that. You might need and appreciate the box, but getting one tends to set you apart as a “needy” person. My friends were surprised to hear that such a nice box, and one that everybody needs, could be shameful. I was surprised to hear that every neighbor, “needy” or not, enjoys getting the box. My friend’s neighborhood also started an education fund. Apparently, they take a lot of pride in any kid that grows up in their neighborhood, and they want to make sure that every kid gets the education that matches his or her interests and abilities, however much it costs them. The community seems to be pretty level-headed and realistic about things. For example, they don’t expect every kid to go to college. A lot of the kids would rather go to trade schools, and some start working with their family business right out of high school. But whatever the kids and their families decide, the community as a whole pays for it. A lot of people might look at a neighborhood like that and think it’s not fair. The wealthier families usually pay more into the education fund, and many who contribute to the fund don’t seem to benefit from it personally (maybe they don’t have kids, or maybe they have kids who start working after high school, only to start paying into the education fund themselves). But my friends — and apparently nearly everyone in their neighborhood – see it differently. Again, they take pride in all of the kids, and they genuinely want to see them reach their full potential. But that’s not simply because of some warm and fuzzy idealism about children. Like I said, they’re realistic, and I think they’re at least partly driven by a kind of self-interest. I think it’s a healthy self-interest that sees one’s own needs as inseparably intertwined with those of one’s neighbor. They know that it’s in the long-term interest of their own neighborhood (and even surrounding neighborhoods) for every single kid to get as much education and/or training as he or she needs to become a “good neighbor” in the future. Surely we all know this to some degree, but the people in my friends’ neighborhood acted on this knowledge. One more thing that my friends said really impressed me. They mentioned this “side benefit”: moms and dads are able to spend quality time with their kids, families, and neighbors because they don’t have to work extra jobs to pay for their kids’ education. How nice. Then I “impressed” my friends (in a bad way) when I told them that, in my neighborhood, many moms and dads have to work extra jobs to pay back their own student loans as well as the growing expenses of their kids’ education. So where is this neighborhood? Maybe you guessed already that I’m talking about a country-sized neighborhood. 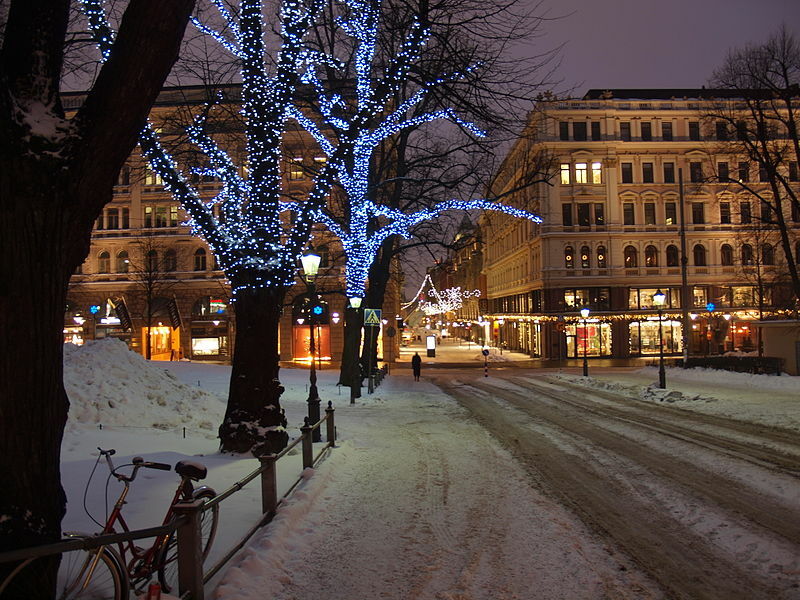 The “neighborhood” I’ve been describing is Finland. Of course, the more I learn about Finland, I expect I’ll discover that this “neighborhood” has all kinds of problems, just like any other. My Finnish friends certainly expressed some sober concerns about their country’s present and future. They were humble, sincere, and fair as we talked and wondered together why Finns approach education so differently from Americans and Japanese. I think everyone can agree that there are no easy answers, and that there are no perfect “neighborhoods.” And even if there were a near-perfect neighborhood somewhere, we can agree that simple imitation wouldn’t work. But is it possible to admire other “neighborhoods” – to appreciate good neighbors in other places – without fear that we are betraying our own way of life as we do so, or without falling into self-loathing despair that we cannot become more like them overnight? Surely it is. And one place to start is by celebrating the good that we see in others. I was thankful for the opportunity to do that this year by celebrating Finland’s Independence Day. Thanks to my friends for their warm hospitality, the good food, and the good food for thought. He knows how to write and how to listen and communicate. He has emotional intelligence. He knows how to work with a lot of personalities. These words describe a friend who was chosen to lead “a new nonprofit group that will coordinate existing community efforts to improve health care, education and income.” Not only do they describe him, they are an explanation of why he was chosen for the job (among other reasons, or course). I have no doubt that Matthew will bring to them a growing store of professional expertise and knowledge about education, health care, and employment. But I think it’s important for parents and educators and, well, anyone who cares about education and society to recognize this: the core competencies that make him most suitable for the job can’t be cultivated and measured by fill-in-the-bubble tests that many schools value so highly. And I don’t think he could have acquired them all through highly specialized training (a good thing!) in each area, even if he were to wind up with three certificates proving that he knows a lot about education, health care, and employment. Then what sort of education has prepared my friend to take on such a complex and important job? Matthew majored in classics and history as an undergrad. And he continued researching and writing about history at the master’s and doctoral levels. When I met him, he was researching and writing about ancient Rome. …then that person has the sort of “real world” skills that are absolutely essential for leading an organization, a company, a family, a community, or a nation in a complex and ever-changing world that tends to pop bubbles, and that puts expiration dates on most certificates. I don’t mean to reduce my friend’s qualifications to what can be obtained through a liberal arts education. Nor do I mean to suggest that it’s the only way to obtain those qualifications. But when done right (and I freely admit, it’s awfully hard to do it right, whether you’re a student or professor), I think that general and specialized studies in the “liberal arts” is an excellent way to prepare for just about any kind of life imaginable. At this point, someone might rightly complain that I’m advocating liberal arts education for utilitarian purposes, as if it’s valuable only because, in the end, it has “practical” and “real-world” value. If so, pardon me for emphasizing that aspect in this post. I certainly haven’t said all that can be said about the matter. I also believe that time spent in “liberal arts” learning — for instance, reading, thinking, and engaging with others about humanity’s biggest, best, and worst ideas; simply admiring and enjoying its treasures; critically discerning its shortcomings — is a wonderful and enriching way to live life even if one can’t find immediate and practical “use” for any of it. The question I’ll close with is this: Are you in a place where you can become more like my friend Matthew? If not, find a place — maybe a college, maybe a book club — where you can listen to, and talk with, people who have ideas that are different from your own. You may find it to have “practical” value, or you may not. Either way, I think you’ll grow in a good way; I think it will become one of those life experiences that even the most practical person will treasure for its own sake; and, if you’re a “learning for learning’s sake” kind of person, I think you’ll still find it useful for staying sane and finding your way in a crazy world. What do you mean when you say “thank you”? That is, what actually goes on in your mind when you thank someone for something? One helpful way to think about it is to consider your non-verbal language – your facial expressions, posture, tone of voice, and other body language – when you express thanks to someone. Do your eyes open wide, as if in wonder? Do you tend to squinch them a little, as if you were apologizing? Of course, different situations call for different expressions of thanks. That must be the case in just about every language and culture. But what is your default expression? How about the people around you? Try this. Observe people closely when they say thanks. Watch their facial expressions and body language. Listen to the sound of their voice. If you can, watch and compare people from different countries, backgrounds, ages. It’s interesting to consider theories about the origins of “thank you” in different languages. For instance, read this excerpt from David Graeber’s Debt: The First 5,000 Years (thanks to Brain Pickings for the interesting article and quote) and ask yourself if there’s any hint whatsoever of these senses in your own thanksgiving. In English, “thank you” derives from “think,” it originally meant, “I will remember what you did for me” — which is usually not true — but in other languages (the Portuguese obrigado is a good example) the standard term follows the form of the English “much obliged” — it actually does mean “I am in your debt.” The French merci is even more graphic: it derives from “mercy,” as in begging for mercy; by saying it you are symbolically placing yourself in your benefactor’s power — since a debtor is, after all, a criminal. Saying “you’re welcome,” or “it’s nothing” (French de rien, Spanish de nada) — the latter has at least the advantage of often being literally true — is a way of reassuring the one to whom one has passed the salt that you are not actually inscribing a debit in your imaginary moral account book. So is saying “my pleasure” — you are saying, “No, actually, it’s a credit, not a debit — you did me a favor because in asking me to pass the salt, you gave me the opportunity to do something I found rewarding in itself! Or consider Japanese expressions for giving thanks. Take the word for “thank you” that foreigners usually learn first, “Arigato.” When written with Chinese characters, “Arigato” combines the character for “being, to exist”「有る」(aru) and “difficult”「難」 (kata). 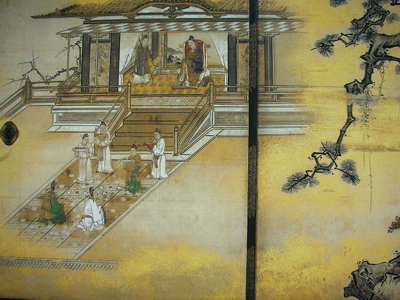 In its original sense, the word meant something like “this is a rare thing,” or “this is rare and precious.” According to one common explanation, arigato originated in the Middle Ages as a religious expression of gratitude for Buddha’s mercy and other precious things that were difficult to get by oneself. Sumimasen is the negative form of 澄む (sumu), which means “to become clear, transparent, serene.” The idea is that your heart is not serene or clear because of what someone else did for you, as if your heart is unsettled by the trouble they went to for you, or because of what you did to them. Sumimasen is the negative form of 済む (sumu), which means “to finish, to be finished.” Here the basic idea is that you can’t treat the matter as settled when someone does something for you. It’s as if you’re saying, “It can’t end like this; I must do something for you in return” (this comes close to the language of debt we saw above). Watch an elderly Japanese lady say “thank you” to her neighbor for some kindness. If you didn’t know the circumstances behind the sumimasen’s and arigato’s, and if you were to judge based on her facial expressions, tone of voice, and overall body language, you might think that she is apologizing for something rather than expressing gratitude. I certainly do not mean to say that people think explicitly in terms of the word’s etymology when they say arigato or sumimasen. But the non-verbal language that accompanies most sumimasen’s and many arigato’s suggests this about giving thanks in most Japanese contexts: when expressing thanks, it is important to communicate to the other person (especially through non-verbal language) your recognition that he or she has gone to some degree of trouble (or “difficulty”) on your account. Again, what do you mean, and how do you feel, when you say “thank you” or give thanks using other expressions? Do your actual feelings of thankfulness tend to center around (or largely depend upon) the gift you received? Truth be told, I think that for me “thank you” is still partly connected to how happy I am to receive this or that gift. So when a gift or act doesn’t live up to my expectations, it’s easy for me to feel like my “thank you’s” are somehow fake and empty. Do your feelings of thankfulness tend to center around (or focus upon) some level of wonder and delight over the other person’s generosity toward you (that is, not so much on the gift or act itself as on the fact that they did this or gave that to you)? I believe that this feeling is often behind my thanksgiving, but not as much – and not as genuinely – as I would like for it to be. As for the language to express this sense of wonder, I suppose some variation of “thank you,” “arigato,” or “kansha shimasu” does it best for me. How about you? Do your feelings of gratitude tend to center around (or focus upon) the fact that the other person went to some trouble on your account? I imagine that some people view this as a guilt-laden (and therefore inferior) form of thanks — and I suppose it could be taken to unhealthy extremes, as with anything. But I think this heart of thanksgiving that focuses on the cost to the other person is quite beautiful, and I love all the drama that goes into a round of genuine sumimasen’s. Thank you for sharing this. In Bahasa Indonesia or Malay, people say “terima kasih” to thank others. This two words, terima (receive, get, or be given) and kasih (love) refer to express how kindness is appreciated as love given by others. Searching any related and helpful source in order to write application essay to ACTS-ES, I found this blog. Terima kasih. 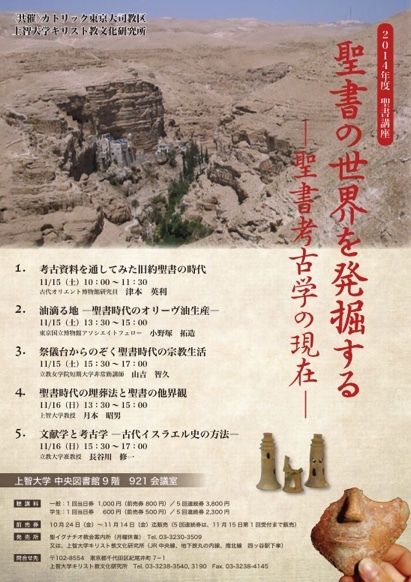 Here’s more information in English and Japanese at Japanese Biblical Studies. 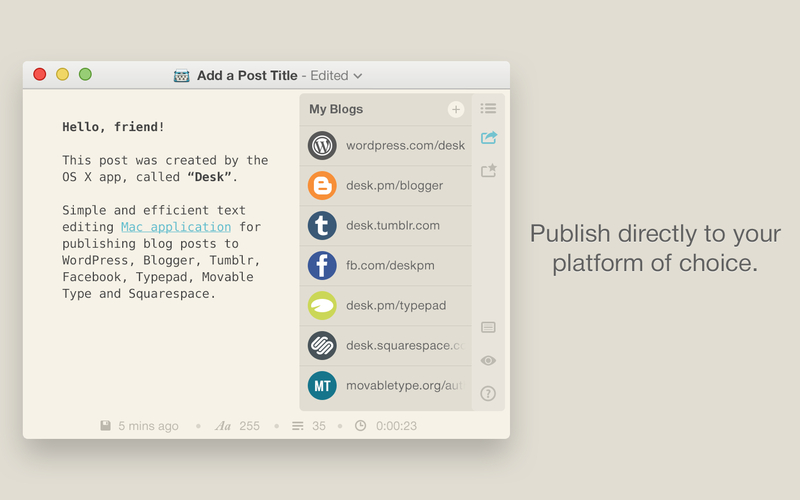 I’m testing out a new online publishing app for OS X called Desk. I hope to use it for my WordPress sites. 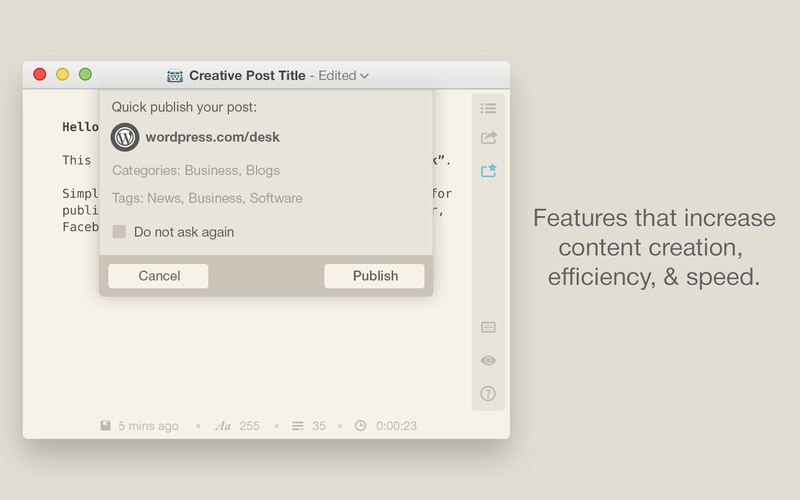 Desk also publishes to Blogger, Tumblr, Facebook, Typepad, Movable Type, and Squarespace (with more on the way). I especially appreciate the developer’s aim to make it super easy to write and share posts (see “Decisions, Not Options”). Thanks so much for this! 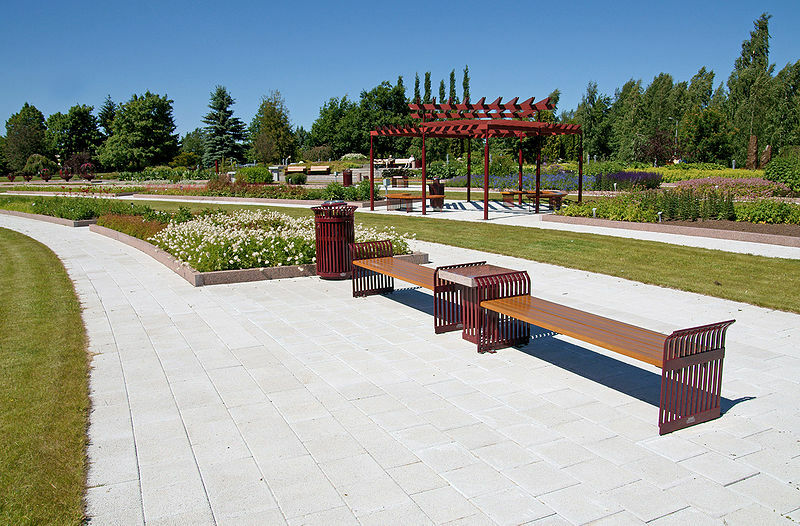 I am passionate about sharing my story and sometimes i enjoy that more than actually building (only sometimes…). 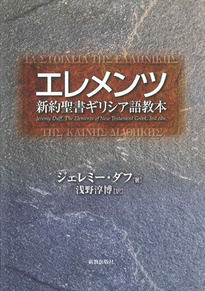 If you read Japanese, or if you’re just interested in eccentricities, please take a look at my site for Japanese speakers studying New Testament Greek. 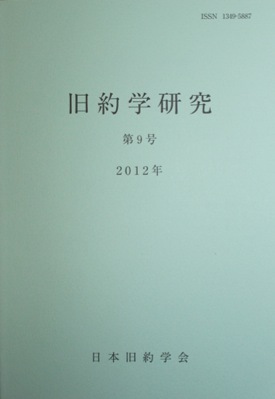 The site is called Shinyaku Seisho Girishiago Kōza （新約聖書ギリシア語講座). I began with a series of videos in which I explain the exercise problems in the Japanese version of Jeremy Duff’s The Elements of New Testament Greek. Since I posted the first video about 3 weeks ago, the videos have been viewed for around 40 hours. That’s quite a bit more than I expected. This week I’ve begun a series of original short stories. I’m having my students write the stories in Japanese using only the vocabulary (list 1 and list 2) and grammar that they’ve learned so far. Then I translate the stories into Greek. The stories are simple, but they are a lot more fun to read than the exercises. It’s my first attempt to do extensive reading in New Testament Greek. Even if you don’t read Japanese, perhaps you can enjoy the Japanese-Greek stories. I’d be grateful for any help with getting the word out. You never know where you might find philhellenic Japanese. At Japanese Biblical Studies, I’ve posted the English and Japanese titles of articles in the recent issue of Old Testament Studies, the journal of the Society for Old Testament Study in Japan. I also happen to have an article in this issue, which is based on a paper that I gave at the SOTSJ annual meeting in 2011. Take a look. It’s significant when a nation’s scholars in any given discipline get together. Next month, members of Japan’s small but active Society of New Testament Studies will gather for their two-day annual meeting in Nagoya, a large city in central Japan. If you would like to see what Japan’s New Testament scholars will be talking about at this year’s meeting, take a look at my translation of the paper titles. And if you happen to be a student or scholar of the New Testament, see if you recognize any of the names (especially among the moderators, who are mostly senior scholars). Japan’s National Institute of Informatics (NII) has a very helpful site for doing research in Japan, about Japan, and about practically anything else. 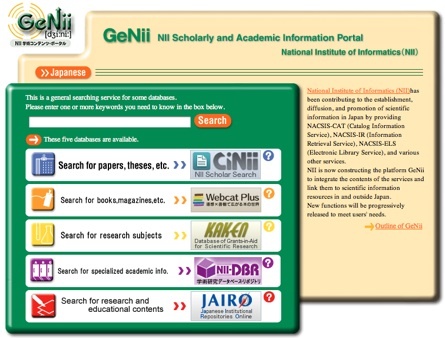 The site is GeNii – NII Scholarly and Academic Information Portal. I’m especially interested in using GeNii for research in biblical studies, but GeNii’s resources are essential for any discipline’s students and scholars who wish to benefit from Japanese research.